Like what you see? There’s a lot more where that came from. This book also includes pictures with each workout to help with any instructions that you’re unsure about. Once you choose your exercise, you can adjust the intensity to fit your needs. 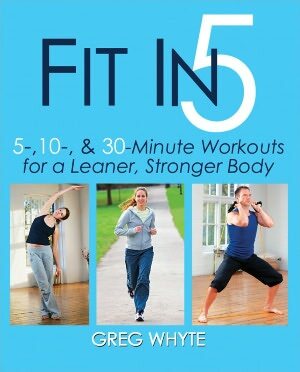 Plus, with weekly training programs, you can use this book to reach your exercise goals, up to 150 minutes per week. Still need more incentive? How about a super-exclusive 20% off coupon code just for you, our Health Beat fans! Simply enter the code ‘healthbeat’ at checkout to receive your discount. Click here to start your order today! Oh, and hurry! Supplies are limited and the coupon is valid while supplies last. Don’t forget to come back to the blog, or visit on Facebook or Twitter to share your thoughts on these great exercises! Plus, what are you doing to stay fit this summer? Share your ideas with everyone!